Higgs and Barker have been serving the motoring needs of customers along the Yorkshire Coast and its surrounding areas since 1967. 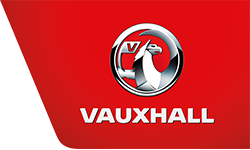 We specialize in selling nearly new Vauxhall cars, many with low mileage at highly competitive prices. We are an approved Vauxhall Aftersales agent with a fully equipped workshop, but we can also look after and maintain most other makes and models. Our dedicated and experienced staff are on hand to offer specialist service, sales and parts advice tailored to the requirements of each individual customer. As a family-owned business, we place great emphasis on a personal service where each customer is a person, a person whose custom is greatly valued. As a consequence of this, Higgs and Barker were voted Bridlington Free Press Garage of the Year in 2007. We have a range of financing options available to our sales customers; speak to our sales consultants, who will strive to answer any query.